"This is a great place for kids. I would say elementary age and up, younger kids would probably enjoy but may lose interest quickly. My kids are 5 and 8 they both loved it. This was a half day trip for us which included watching the show, shopping the gift shop and grabbing a snack at the cafe." "As two adults, we both enjoyed this museum even though many of the exhibits were geared towards kids. I would say that we spent about 2.5 hours at the museum which included a show in the Planetarium. There are several shows to choose from with one of them being specifically geared towards kids, so if you don’t want to see that one, plan your time accordingly when you schedule your visit. It’s a great theater and should not be missed. The rest of the exhibits were very interesting. We especially liked the weather forecasting exhibit and a game where you land the space shuttle. The museum is in honor of Christa McAuliffe and Alan Shepard, both from New Hampshire. As a child of the 80’s, I clearly remember Christa McAuliffe and this museum is a really fitting tribute to her and a message of inspiration to all who visit it. There is really no mention of the Challenger disaster which I appreciated because it’s a really scary thought for children and not what this museum is all about. Outside, in front of the museum is a replica rocket like the one Alan Shepard rode in. Who doesn’t love rockets? For both kids and adults, it’s a great piece and a solid reminder as to who our true heroes are in our society. One thing we were surprised about is how good the small cafeteria is. We got lunch and were really impressed by the quality of food. The gift shop also had a wide assortment of items and the prices were great." "The center has ever changing exhibits. When I was there was an actual space capsule and a fighter jet. In the summer young kids can enjoy playground. Well worth the trip any time of the year. Also can be rented for functions." "So many interactive things to do...both children & adults will enjoy it. You can even try to land a Space Shuttle in a mock up (note: it is very hard!). Make sure to go into the planetarian & sit thru one of the celestial shows. 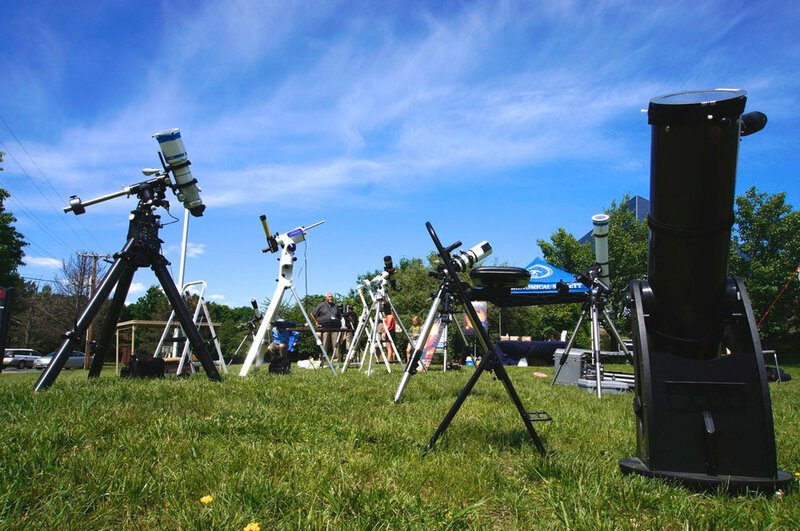 On the first Friday of each month, the local stargazers all gather in their parking lot & you can just show up & the members will let you look at the stars thru their own telescopes!" McAuliffe Shepard Discovery Center. Activities that explore astronomy, aviation, earth and space science. * Children under 13 must be accompanied by an adult.